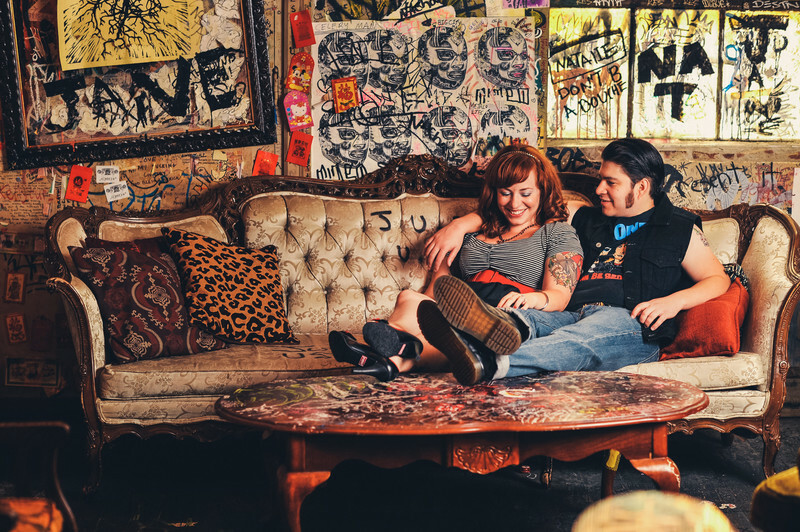 One of our clients favorite places in Philadelphia for engagement photos is Tattooed Moms. If you've never been to Tattooed Moms on South Street, it's a wonderful bar and resturant with a feel like no other place in Philadelphia. Sunday crafts? They've got it! Graffiti on the wall? Sure. Billards tables. Yeah. Bumper cars? They've got them. So as you see it is a perfect place for engagement photos in Philadelphia. Call us or email us to set up your session.